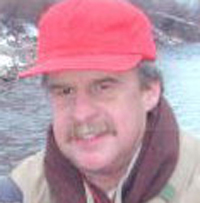 Robert “Bob” Edward Demorest, 66, of Mackay, Idaho, passed away Thursday, Jan. 23, 2013, at his home from natural causes. He was born on March 22, 1946, in New Rochelle, N.Y., to John Anthony Demorest and Gaynell Powell Demorest. Bob graduated from Grosse Pointe High School in Michigan and attended Miami University of Ohio. Bob also served in Vietnam with the Merchant Marines. Although Bob was raised in the Midwest, the beauty and the spirit of “God’s Country” drew him to the West where he made his home. He began as a self-employed wilderness trapper in Colorado and Wyoming in the early 1970s. From there he became involved with ranching and managed several properties throughout the state. After 15 years of working in the Wood River Valley, Bob retired to Mackay, Idaho, in 2004. Bob enjoyed every aspect of rural life: ranching, camping and especially fly fishing. He spent endless hours on the stream with his friends. His relationships with friends were unique, genuine and lifelong. Always honest and passionate with his causes and opinions, there was a soft and gentle side to him that he shared of himself in his stories and poetry. Bob will be greatly missed by those who were fortunate to know the many facets of Bob. Belle and Lucky, take good care of Bob. A celebration of life will be held this summer. Arrangements are under the direction of Lost River Funeral Home, 345 Sunset Dr., Arco, ID 83213. Condolences may be sent to the family at condolences@hawkerfuneralhome.com.